New 2019 Model 18 BAB "The Firewood Factory" Nothing Eats Wood Like A Beaver!! Bigger, stronger, and faster than it’s predecessor, the model 18 BAB is a true “animal” powered by either a Kohler CH999 gas engine or a Kubota 902 diesel, and equipped with a Parker VOAC 7135 rpm saw motor, 404 18H 24” true harvester combination - this is by far the fastest cut/split combi-nation on the market. 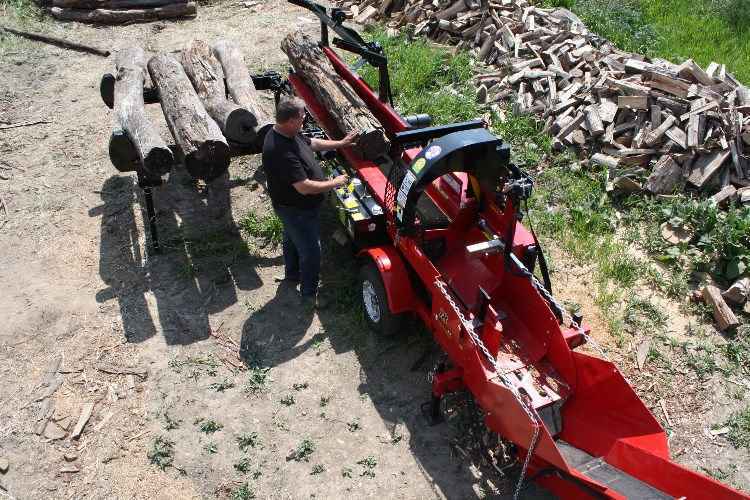 A typical 18” hardwood log is cut in 3-4 seconds and splits in 3-4 seconds or less!!! It’s a drag race to see which finishes its job first! The 18 BAB comes standard with almost everything – choose your engine and how you plan to “feed the beast” (Live deck, dead deck, or log lift), that’s it. If you need to get your production into the 3+ cords per hour range, the 18 BAB is one Bad A** Beaver!